You must make bookings at least 5 minutes in advance of the time at Ikoyi. Q-Park Trafalgar Square is a 5 minute walk away. London Brewer Street Car Park is a 10 minute walk away. We offer external catering, please contact the restaurant for further details. Ikoyi is available for private hire, please contact the restaurant for further details. and a true destination dish. We serve a blind Tasting Menu for dinner. Thank you to everybody at Ikoyi for an incredible meal! Genuinely inspiring fine dining and excellent service. Hope to visit again soon. I was really disappointed to be honest. The food was very slow to arrive. it was quite tasty but not worth the price and actually not very filling. 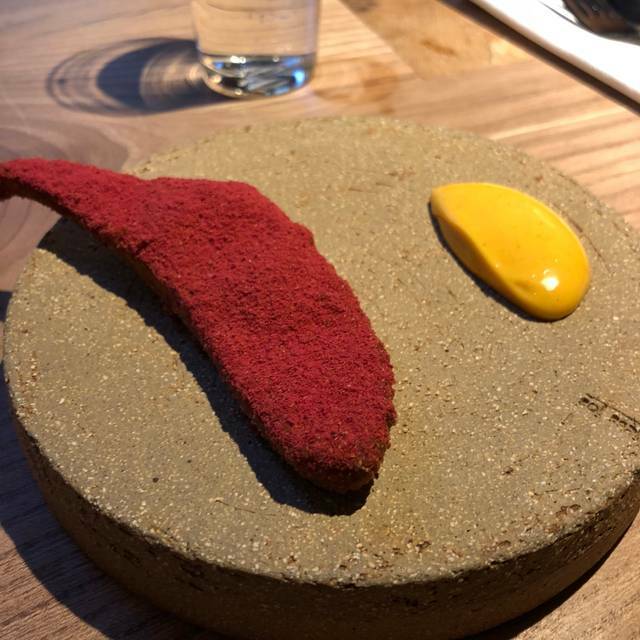 It was a very basic tasting menu - no amuse bouches and not many courses and so I thought the value was terrible. Tables were very close together and people KEPT knocking their heads on low hanging lights. Pudding was really poor and we couldnt finish it was so bad. I took a friend for her 30th and wanted it to be really special as she doesn't go to fancy places much but sadly it just wasnt. Ive eaten at lots of amazing restaurants in London and this one was really underwhelming. Overall Ikoyi was a good experience. 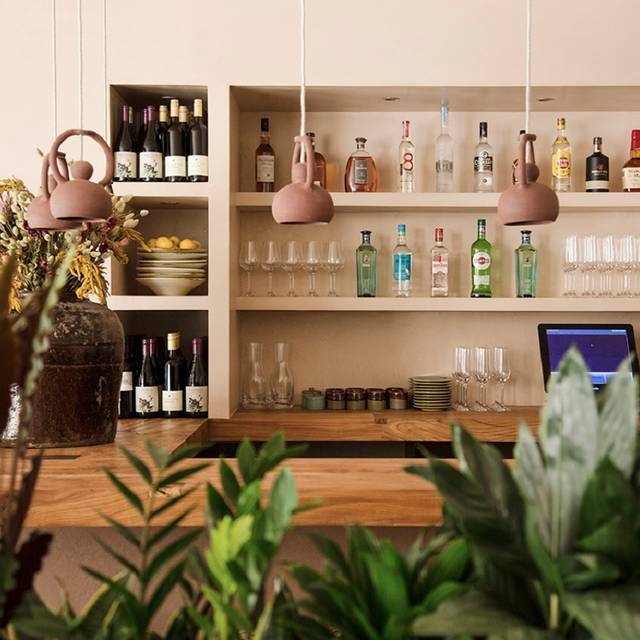 I feels like West Africa meets Japan and it reflects through the decor: minimalist Izakaya style wooden furniture, amazing crockery and terracota shades. A lot of thinking went into the dishes but it was not as surprising as I thought it would be given the buzz there is around this restaurant. We had the 7-course tasting menu. The fish course was exceptional and the desert course was fantastic too. There were a couple of other faux pas which I would not have expected given the number of staff for such a small venue. I will put these down to teething troubles. One of the best dining experiences in the last year or so. Wonderfully exciting food compositions, tastes and combinations. Loved it. Service was attentive, relaxed and friendly. Delicious food and excellent service. Everything was great and I would reccomend. Great food! Very good style about plating and great modern techniques. In my opinion I found not enjoyable that every dish was spicy ..this is going to cover many other ingredients and also arrive at the dessert with your mouth burning. Not a complaint, just a feedback! Inovating and delicius food, suprising and fun to eat! Friendly staff with knowlige about the food being served. A must for anyone in to great food! 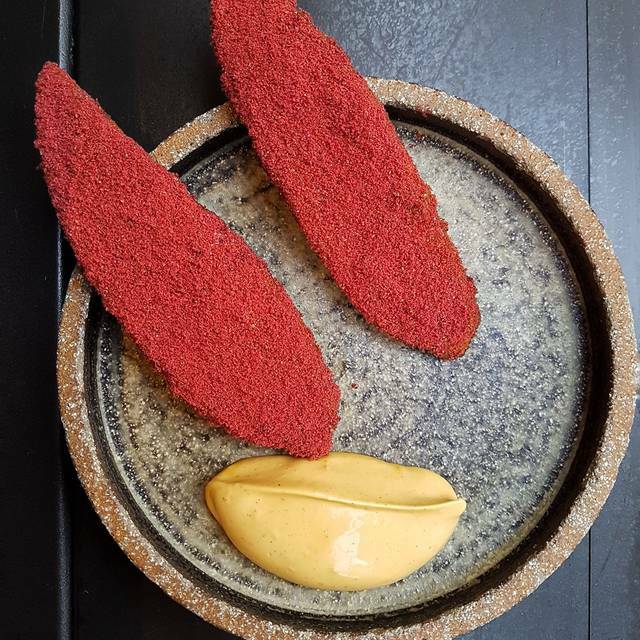 Really great restaurant- imaginative and creative take on west African food. Great service and calm ambience. Would definitely recommend. The food, drinks, and service were amazing. Staff were extremely helpful, and it didn’t take long to pay the bill at the end either which is a personal bugbear! The outstanding point was the food, as it should be. A good bit of spice through some dishes but not overpowering at all, enhancing if anything. We went for the 9 course meal and did not feel as if we’d overeaten, and the 2 extra dishes were 2 of the best (fried chicken and octopus). The total cost is not cheap, but you do get an excellent meal and well looked after. The food is amazing! Will come back soon!!!!!!!!!! The food was outstanding, very spicy, beautiful presentation of the dishes, service was very friendly and helpful. Will certainly return. The dishes were a little hit and miss. Jollof rice delicious but accompanied the most tasteless Iberico pork, so overall a disappointing main course. Other courses were fine, executed well but nothing memorable flavour wise except for the most perfect walnut ice cream, coffee oil and white choc dessert. Rescuing the meal on its own. I appreciate the blind tasting however I was hoping to have a choice of dinner meals. Amazing first time experience. Will certainly return. Bold and accented flavours with a pronounced kick. Smooth service, friendly and adequate. I loved the vide in this place, you feels confortable and cozy. The food is just amazing! Every single dish is an explosion of flavors, I like spices and definitely fall in love with the seasoning and the combination of tastes. The plantain with raspberry salt and scotch bonnet chili is a must! The service was professional and very friendly, recommanding great wines with the menu. I will come back for sure.! Thabjs again guys for your amazing job! The food was so so. The service was good but the dining experience felt rather soul less. Great food and ambiance. We took the 7-course menu which was perfectly sized. Friendly staff, very relaxed and not pretentious. We were looked after very well, but the service was perhaps a touch over formal, which for me made for slightly less relaxed atmosphere, than the space seemed to present. Also the food is interesting, at times exciting and delicious, other times less so, which at that price level shouldn’t be the case. The Eko black beer was delicious, but £8 for a small can is too much, I didn’t think to look at the price (who would for a can of beer) when I ordered it, so only noticed when the bill came. I would say at that price level you shouldn’t have to pay for the water, even if it is filtered, or at least tap water should be offered as a free alternative. 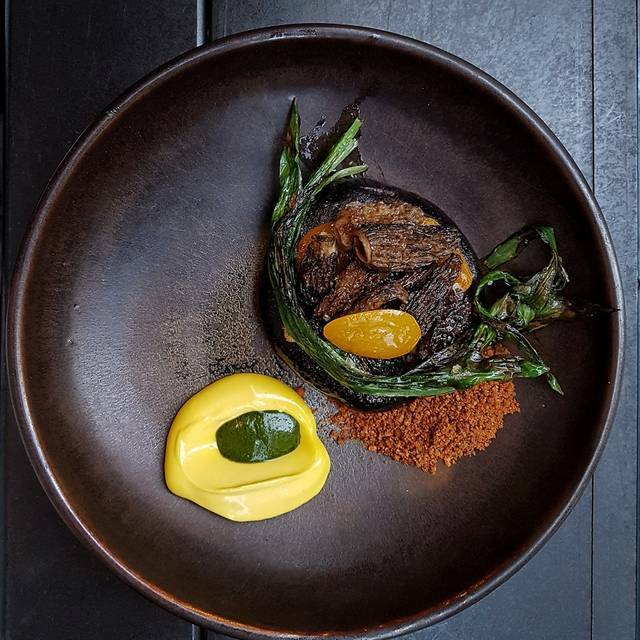 Ikoyi is one of my favourite London restaurants these days. I find it quite noisy which is not a surprise given the size, but the noise gives it an energetic buzz that can be exciting if you are up for the noise. For the first time in all of my visits, I have had two disappointments. I was wearing a thin, swing coat over a sleeveless dress. The waiter who seated me argued with me about whether or not I wanted to leave my coat in the tiny coat collection (I did not). The other disappointment was the undrinkable martini. (First time in my life I have sent back a drink.) I should not have changed my order when the waiter said that they do not have olives. On the plus, plus, plus side, they readily replaced it with precisely my second request. Bravo! I will go back again in a couple of weeks because these are small quibbles and the fabulous food always makes up for small bumps. I was really looking forward to this experience. On the website, it said the blind tasting menu. So when we were seated I was not surprised to be handed only a drink menu. We had 7 courses and the only dish managed to wow was the dry aged beef. Other dishes were just average. 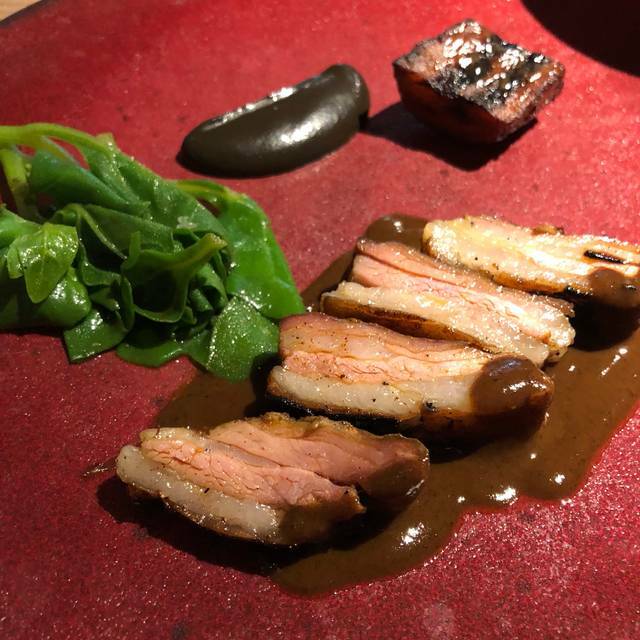 In the end, I felt I overpaid for what I had and it really makes me wonder how did Ikoyi get Michelin star with the level of food served to us. I was really looking forward to dining at Ikoyi But was rather disappointed. The wait between courses was so long. People who came after us were served before us. My dietary requirements were ignored for the most part. The food didn’t wow me at all. Doubt I’d go back. Surprised it has a Michelin star. Overall, food was a little disappointing. At £130 a head we were expecting something more special. I was very very disappointed with my overall experience at Ikoyi especially as many people had advised me against going. But I thought let me go for myself being a huge foodie and all. The staff were great very attentive. But the food was poor there was no Nigerian experience felt and I’m originally Nigerian unless I got the concept completely wrong. There was no menu provided just drinks menu on arrival. The waiter simply stated 7 course or 9 course no mention of how much each was. We went for the 9 and to our amazement this was £90 pp. with such a hefty price I think it’s only courteous to make the diner aware. As this is not a fancy restaurant like Nobu and Novikov etc. We didn’t expect our bill to reach almost £300. If the food was absolutely amazing then believe me it would have been worth every penny. But overall I was deeply disappointed and I am genuinely still quite flabbergasted. Although the food was tasty and the staff were professional; the restaurant was very noisy. The tables are so close to each other that the room became too crowded and noisy to have a relaxing meal. In comparison to other one star restaurants, it would also be better value if the dessert was included in the set menu since the first course was very small and there was no bread included. I was really looking forward to dining here for my 40th birthday with a fab group of friends, regrettably, I have to say I left feeling disappointed - ikoyi didn’t live up to my expectations. It was just ok. 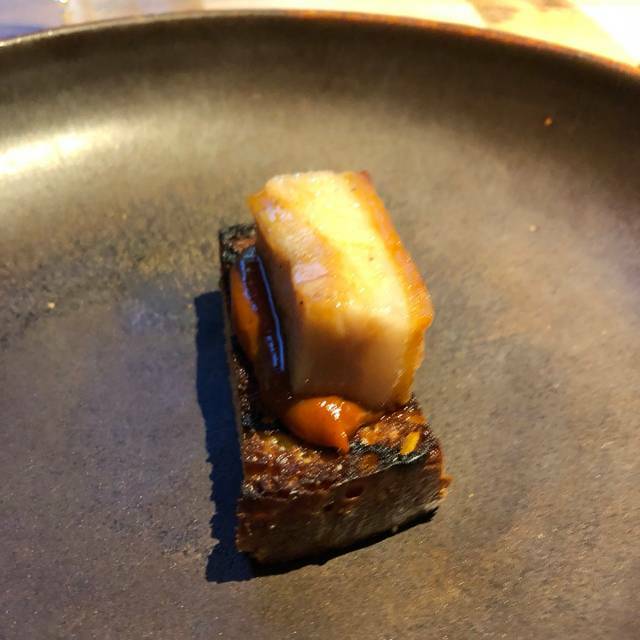 I have had many taster menu meals over the years and this one just didn’t blow me away; the portions were too small and the overly priced wine left me feeling cheated. For well over £100 p/h I should have left on a high knowing that I spent my money on fabulous food and drink but I really didn’t. Can’t complain about the ambience, service or aesthetics/decor; all quite good. Sadly I won’t be back. Excellent all round. The Great food, ambience and service. Five stars. My girlfriend and I visited on Saturday 9th Feb with another couple, and we had a fantastic experience. The restaurant was much smaller than anticipated and the décor exuded little creative aesthetic, akin to an intimate Wagamama if you will. 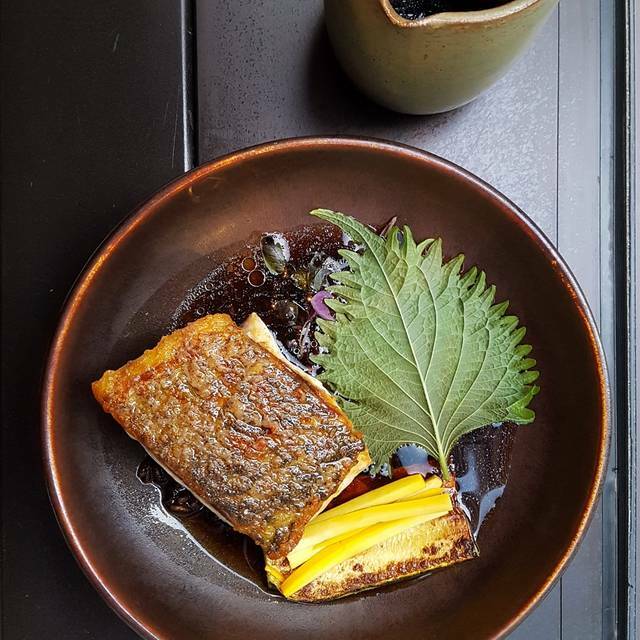 Simply said, the exuberance of the establishment was more than evident in their fusion of flavours, eye for detail with plating and ability to advance your culinary boundaries. 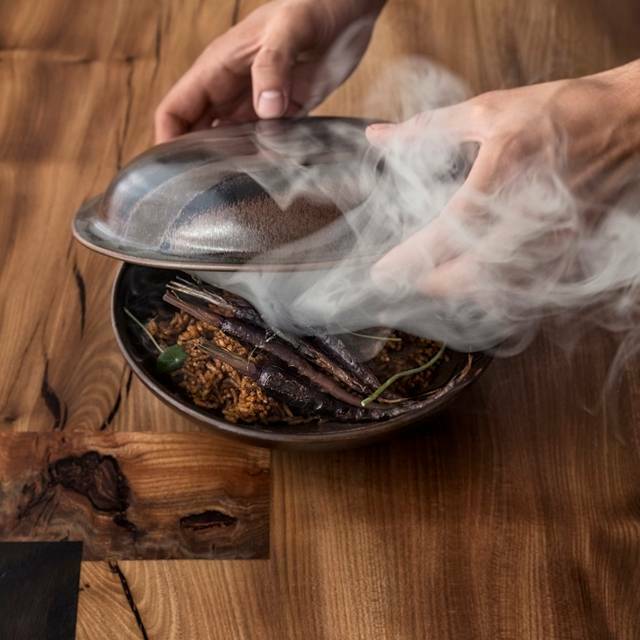 The consistent evolution of the menu only serves to underpin their ideology of refraining from stagnation and delivering to a continuously demanding customer. Given the array of cautious yet interesting options in London, this place dares to delve into the realm of possibilities. For that, they should be heralded. 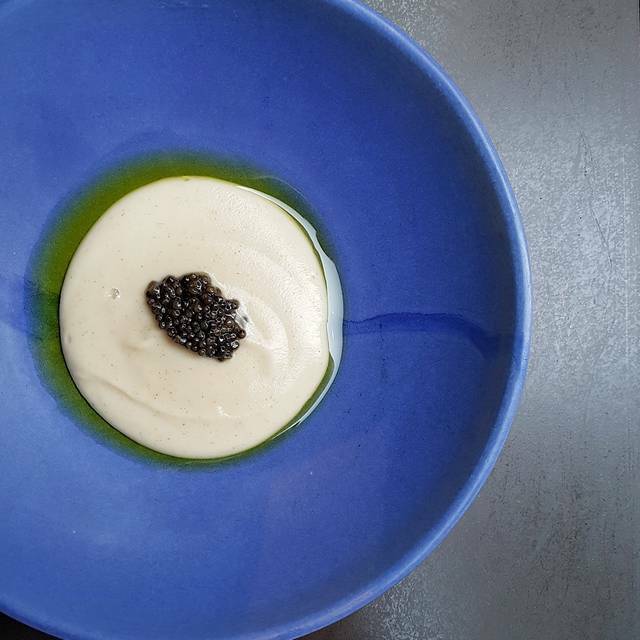 Each course was exquisitely presented and left you content yet curious, in great anticipation of what was to come. Our waiter, Jaehun (sp?) was sublime, quite possibly the best waiter I have ever come across. His timing, delivery and humour enhanced our overall experience and we look forward to returning on one of our next visits to London. To the staff: the cutlery accident SHOULD have been dealt with more professionally. Food was amazing! Very expensive though, but fantastic service and delicious food. The garri fried chicken is definitely worth trying if you get the option.